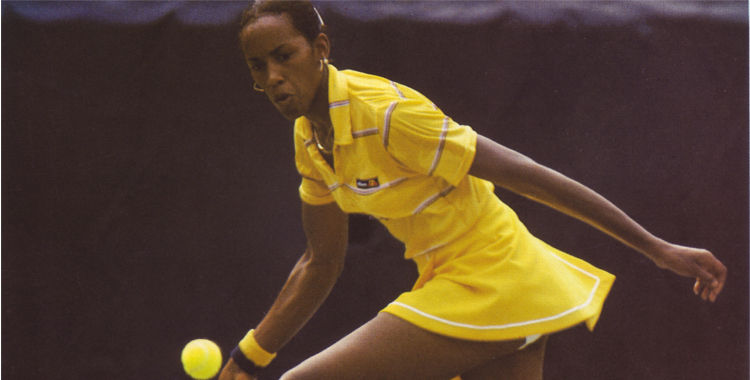 Through her many years involved with the game, Leslie Allen has amassed valuable knowledge about serves, returns, volleys and footwork by playing in tournaments all over the world against some of the best players ever to hold a racquet. Earning a top-20 ranking as a WTA player, she’s evolved from tour star to top-level coach, capable of transforming players’ games and helping them take the next step. But even more important to Allen, her experiences taught her how to conduct herself as a professional, and how the tennis business – and business in general – is done behind the scenes. Today, Allen’s goal is to share her experiences with those who can benefit from them. So that’s exactly what she’s doing with Win4Life and the Leslie Allen Foundation. Her Win4Life Academy, which takes place at New Jersey’s Peddie School this summer from June 23-28, aims to do just that. 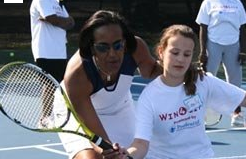 The overnight camp is open to girls ages 13-18, and will intertwine themes of tennis, leadership, and preparing for life to help each girl reach her potential. Allen said it also incorporates her foundation’s four Ds: Desire, dedication, discipline and determination, and can help prepare players for things like college and college tennis, interviews – media or professional – and other professional situations. More info on the Win4Life Academy can be found here. To find out more about junior programs in Middle States and how to get involved, click here.